This matte, museum-quality poster is printed on durable, archival paper. All posters are unframed. This vintage postcard view was taken from a 2nd floor window in the heart of Rochester’s downtown shopping district circa 1899. 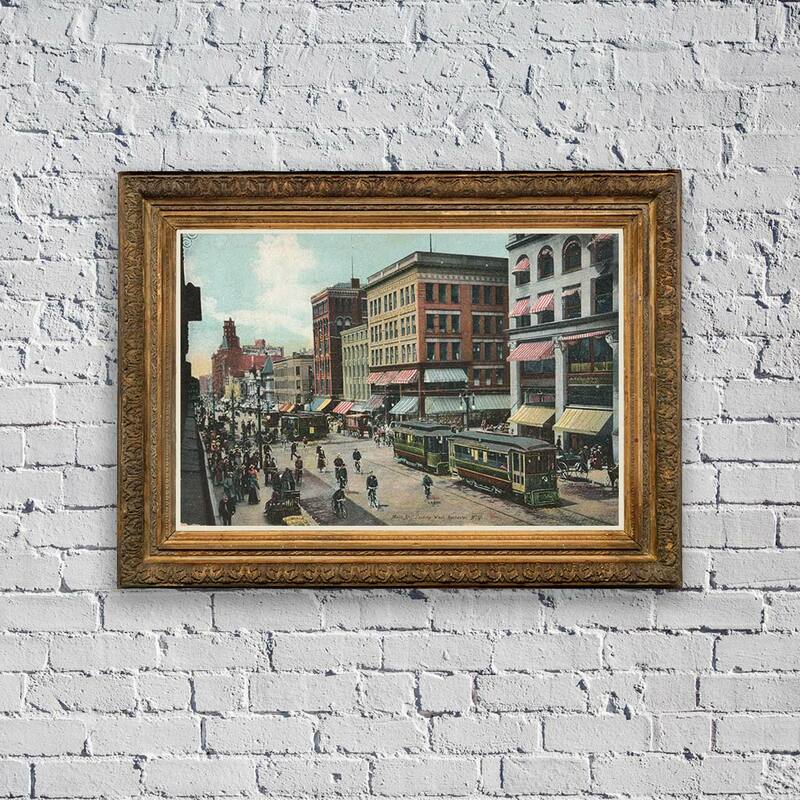 With street car trolleys traveling along side horse-drawn carriages, bicycles and pedestrians, this gorgeous image is a reminder of just how important transportation options are for a vital city. The view is looking west, down Main Street toward Saint Paul. The "fire proof" Granite Building (first home of Sibley, Lindsay and Curr Co. department store) stands to the right. In the center is the Burke Building. And the tower atop the Powers Building can be seen in the distance.